An opt-out from OVDP is not without peril. FAQ No. 51 provides that a taxpayer who opts out of the program may be subject to a “full scope” tax audit. This means that the IRS may examine not only the offshore issues, but audit non-foreign issues. These tax audits may go back a number of years even to years that would otherwise be closed. If the IRS were able to prove that tax evasion occurred during those years they would not be subject to the normal statute of limitations and, at least in theory, the IRS could go back many years. A few tax lawyers have raised a concern that the IRS could even bring criminal tax charges against someone who opted out of the OVDP. Our tax attorneys don’t think that is a reasonable interpretation of the FAQs. FAQ 51 provides that a criminal tax referral could be made IF the IRS discovers that items were not disclosed as part of the OVDP. This suggests that absent such a misrepresentation the taxpayers who went into the OVDP continue to be protected even if they opt out. 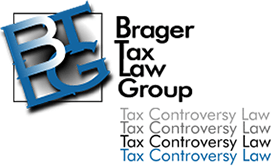 In fact FAQ 51 goes on to “remind taxpayers” that even after they opt out of the civil settlement structure that they remain part of the Criminal Investigation Voluntary Disclosure Practice, and that they are therefore required to continue to cooperate with the IRS. As a practical matter a taxpayer who is concerned about possible criminal exposure is simply not a person who is a good candidate for opting out of the OVDP. Despite its potential downsides the big benefit of an opt-out is the possibility for negotiating a settlement substantially better than the 27.5% offshore penalty. A taxpayer who has to pay a non-willful penalty is subject only to a penalty of $10,000 per year, (and possibly per account) FBAR penalty. Under IRS settlement guidelines published in the Internal Revenue Manual small accounts may be subject to even lesser penalties. For taxpayers who can establish that their failure to file FBARs was due to reasonable cause there are no penalties. The Internal Revenue Manual also allows Revenue Agents to issue warning letters rather than imposing any penalty at all. The decision on whether to opt-out once communicated to the IRS in writing is irrevocable. Therefore the opt-out determination should only be made if after considering all of the possible outcomes.